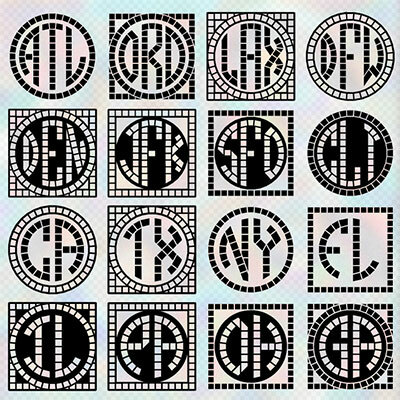 Set of 4 fonts that lets you create custom 2- and 3-letter monograms in a mosaic tile design. There’s a choice of black tile on white or white tile on black, and a variety of optional frames. Also works for “A&B” style monograms.